Media captionEyewitnesses reported running for their lives to escape a shooter. 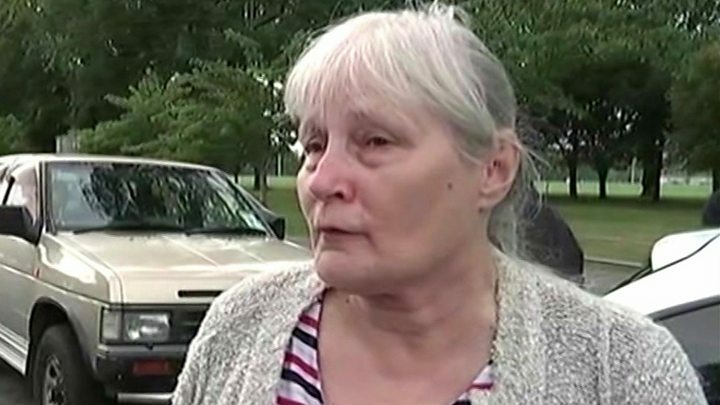 As information about the deadly mosque shootings in New Zealand continues to emerge, survivors have recounted horrifying details. The violence began when a gunman, dressed in dark clothing, opened fire in the Al Noor mosque in central Christchurch on Friday. A prayer session had been going on inside. Witnesses said they ran for their lives after hearing gunshots. One unnamed survivor who had blood on his clothes told local media that he saw the gunman shoot a man in the chest. The witness estimated that the shooting lasted for 20 minutes and that up to 60 people may have been injured. “I was thinking he must run out of bullets,” he told broadcaster TVNZ. The gunman reportedly targeted the men’s prayer room in the mosque, then moved to the women’s room. The eyewitness said: “He came to this side, he shot this side, he went to another room and went to the ladies’ section and shot them. I just heard one of the ladies has died. Another man, who survived by hiding, said people had broken through windows to escape. “He started to shoot them. Anyone who he thought was still alive, he continued shooting them,” he told Radio New Zealand. Survivor Farid Ahmed, who was in a wheelchair, said he was not sure if his wife was still alive. 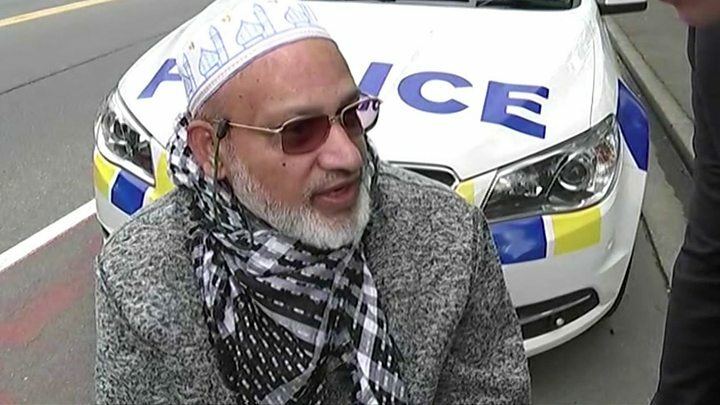 “I saw from the hallway – to the room I was in – a guy was trying to come in that room and he was shot from the back and he was dead there,” he told TVNZ. Eyewitness Carl Pomare was driving past the mosque with a co-worker when he saw people “running for their lives”. “The next second there was rapid fire. These people were being knocked down like ten-pins. I saw them being hit from behind and they were falling to the ground,” he said. Mr Pomare and his colleague set up a cordon with another car and began helping the victims. Ambulances were unable to get to the scene until the area was made safe by police, Mr Pomare said. “We were trying to keep these people alive until the ambulances could get through. “People were begging for our help. We made a call to take a father and his daughter who was in a bad way into a car and we managed to get them both out quickly but we don’t know if they survived. At the second mosque, Linwood Masjid, survivors told local media they saw a gunman in a black motorcycle helmet open fire on around 100 people praying inside. The attack occurred shortly after the first attack at the Al Noor mosque. Witness Syed Ahmed told stuff.co.nz the man had been “shouting something” during the shooting. He said he saw at least eight people killed, including two of his friends. Buildings in the city centre and surrounding suburbs were placed in lockdown. 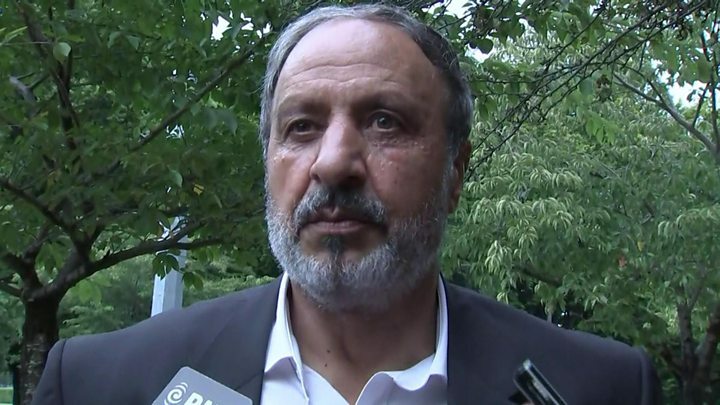 The manager of a restaurant near the Al Noor mosque and Christchurch Hospital said businesses shut their doors after receiving police warnings. “We heard the sirens going in the background and saw helicopters flying overhead,” Alex, from the Pegasus Arms, told the BBC. “Then reports came in and I got texts from my friends saying to be on high alert and that there was a shooter around.